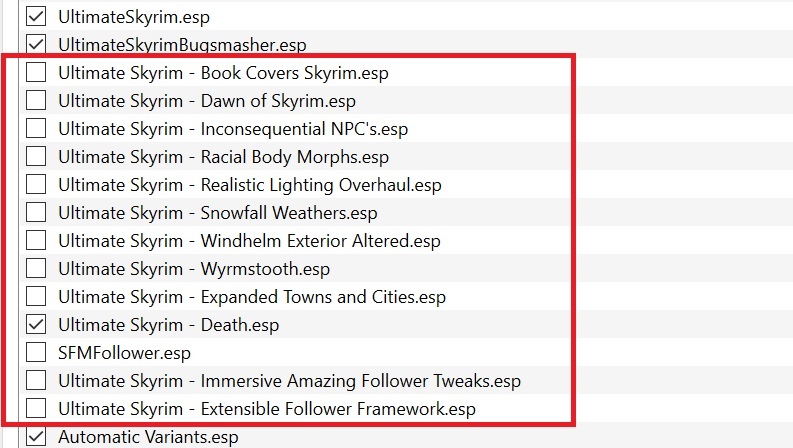 This is the Master Modlist, which displays all mods utilized by Ultimate Skyrim. You can sort the lists by using these tabs at the bottom of each window. Cross-reference these lists with your own installation to ensure that your installation order is correct. Your Modlist & Load Order must match the Masters shown here. 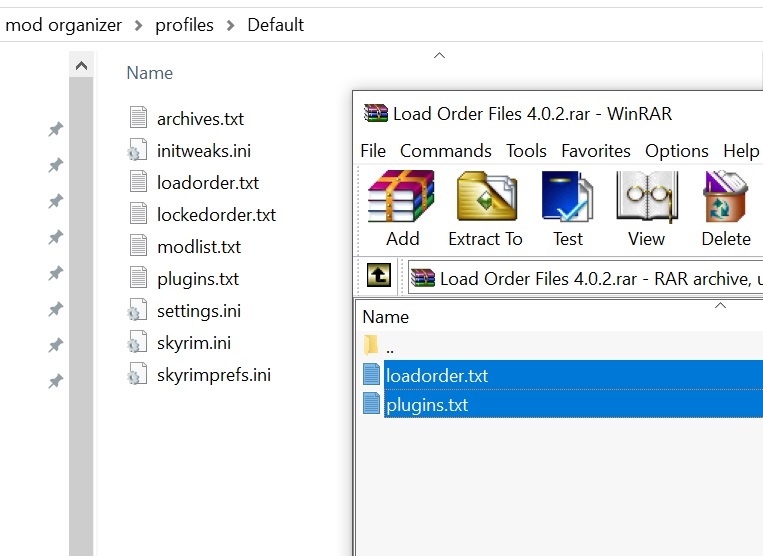 You can sort your Load Order automatically by downloading these sorting files and then placing them in your Mod Organizer 2 profile. 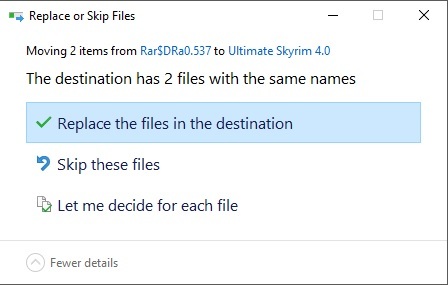 (When asked, click “Replace the files in the destination.”) You can use these sorting files at any time to re-sort your Load Order. Note that Ultimate Skyrim contains many Optional Patches. If you chose not to install a patched mod, untick its patch in your Load Order. Once you’ve verified your installation, click the button below to begin the Final Steps.